Well, 2012 has been quite a year! It has been full of ups and downs and has certainly tested my patience at times. 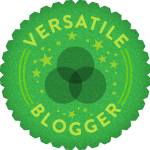 It has, however, been the year I discovered blogging and the therapeutic power of cooking. At times, I have completely neglected this blog and haven’t posted for several months however, I still continue to cook and get great satisfaction from creating yummy food for my friends and family to enjoy so hopefull 2013 will see more posts and more experiments! A few of my favourite foodie aventures from 2012…..
2. Several delicious cupcake creations….apparently I can bake after all! 4. Making some decent cookies, at long last! 7. Writing a guest blog for Northampton Life and hosting a few guests of my own! 8. Eventually getting Neil to eat pork. 9. A trip to France full of foodie adventures. 10. Growing my own mushrooms, if only a few. Then of course, there were a few things that weren’t quite as good…..
2. Some rather disgusting cookies. 5. Getting stroppy about salad! I don’t know what 2013 will bring but I am certain that it will be full of even more foodie finds, kitchen catastrophes, recipes and blogging! Unfortunately, I have been off my feet for a while and unable to cook or bake; something which does not sit very well with me!!! I decided to leaf through my ever growing cookbook collection to find a simple recipe to ease myself back in. My recipe of choice was taken from the Great British Bake Off cookbook. Grease a baking tray with some extra margarine. Break the chocolate into small chunks and put in a large heatproof bowl. Set over a pan of steaming hot water and leave to melt gently. Remove the pan from the heat and stir in the margarine. When the mixture is completely smooth, stir in the sugar and leave to cool for 5 minutes. Beat the egg with the vanilla until combined and add to the chocolate mixture. Sift in the flour and bicarbonate of soda and mix well. Put the bowl in the fridge for an hour. Preheat the oven to 200 degrees. Divide the cookie dough into 30 even pieces and roll into balls before rolling in the icing sugar and covering well. Put the cookie dough balls on the prepared baking tray, leaving a good amount of space in between to allow room for spreading. Bake for 10 minutes. Remove from the oven and, leave on the baking tray for a few minutes before using a pallet knife to transfer to a wire rack to cool. As always, I made a few adjustments to the recipe. I only had 40g of 70% solids chocolate in my baking storage room (yes, room. It used to be a large storage box which resided in a small storage room off the kitchen. This box now seems to have overflowed into the room much to my boyfriend’s frustration!!) 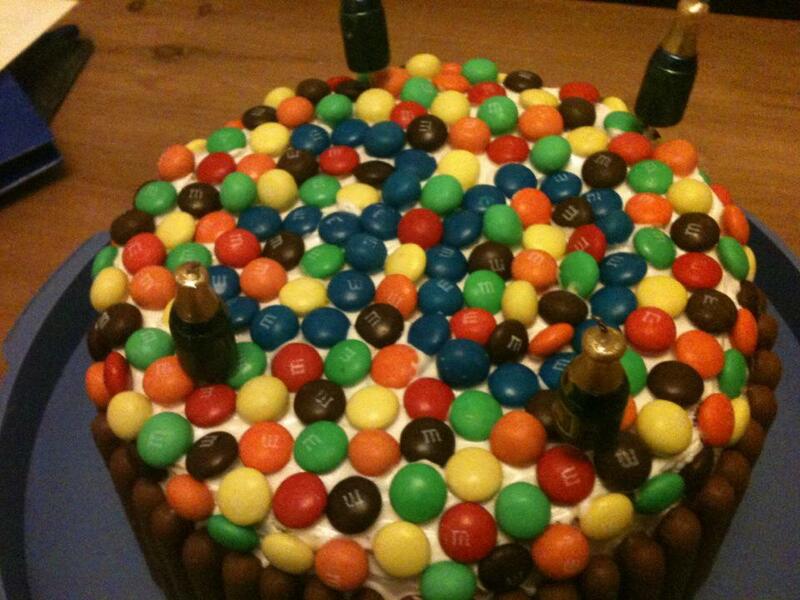 so I had to improvise and use Cadbury’s Bournville for the rest. I really don’t think this was detrimental to the cookies like the recipe states it could have been. 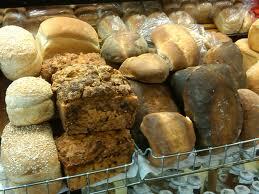 Of course 70% solids is always better however, baking is also about improvisation and using what you have in! I also added a pinch of salt to the cookie dough as salt and chocolate really are the perfect combination and compliment each other perfectly. Make sure you aren’t too heavy-handed with the salt mind you!! I found that the cooking times published in the book were a little bit out. The recipe stated that the biscuits needed to be cooked for 10 minutes for soft and 12 minutes for slightly firmer cookies. I cooked my first batch for 10 minutes and found that they were a bit bitter and overdone. I cooked my second batch for 8 minutes and found that they were much more to my taste! Of course this probably says more about my oven than it does the recipe!! I wasn’t sure if the cookies were my best as I certainly was feeling a bit below par however, Neil wolfed down 8 with a glass of milk the minute he came in from work. 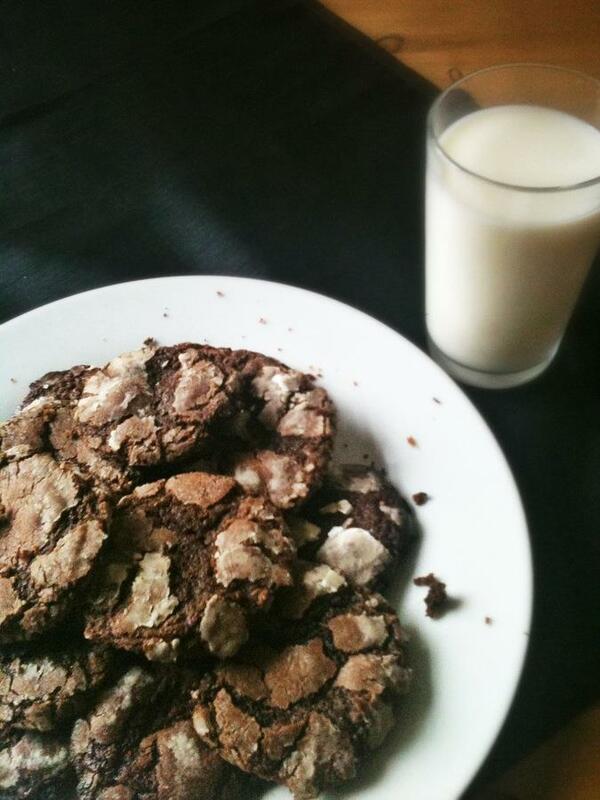 Perhaps these cookies have helped me get my baking mojo back after all! For some time, I have wanted to try to make my own bread. I think there’s something quintessentially British about making your own bread; it makes me think of country kitchens, local bakeries and times gone by. I don’t know why I haven’t tried to make my own bread before. I guess it was a time thing as I had heard it was rather time-consuming. The other issue was the kneading; kneading bread dough for a good 15-20minutes was not a particularly appealing thought although I am sure it can be therapeutic. Last weekend, Mr MAC finally talked me into buying a mixer for the kitchen. I am doing more and more baking so it really made sense to make the purchase in order to give my fingers, wrists, elbows and shoulders a bit of a break! Anyone who knows me knows that I am extremely stubborn and do not give in easily therefore, it has taken him months to convince me to make the purchase! I can say that I am very thankful he did as in the 5 or so days I have had the mixer, it has already proved itself very useful, especially where making bread was concerned. Our mixer was very reasonable at £40. Although I would love a Kitchenaid, that purchase will have to wait for another day!! 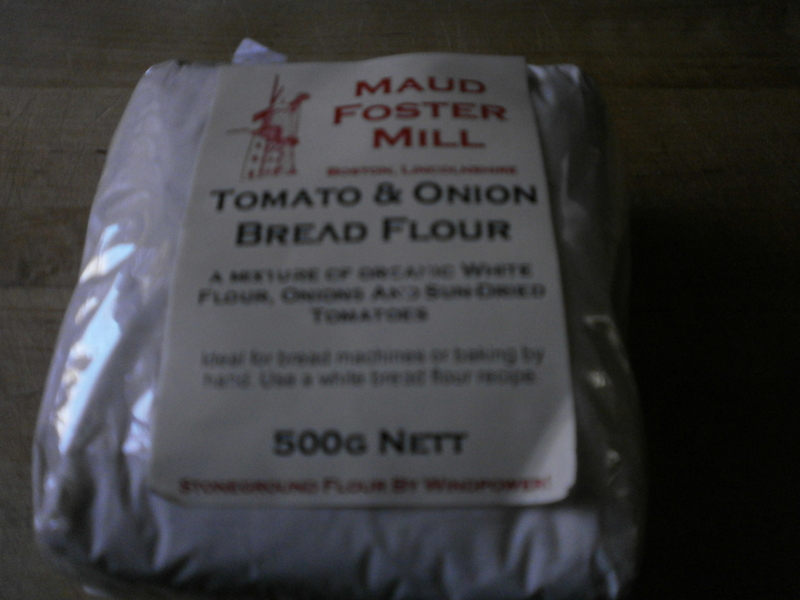 On our way back from Lincolnshire, we purchased some tomato and onion bread flour from Spalding farm shop. We decided that, as we are growing our own rosemary, to add this to the mixture as well. Maud Foster Mill is a working windmill just outside Boston, Lincolnshire that was built in 1819. People are able to visit the mill to see it in operation and there are many local goods for sale in its gift shop. The recipe we followed came from my latest cookbook to add to my already bulging collection, ‘The Great British Bake Off – How to Bake’. I already adore this book and it still hasn’t left our coffee table and been put away with all of its counterparts as I keep leafing through it! The book not only features top recipes and technical bakes from the series, it also has step by step picture guides and practical tips. 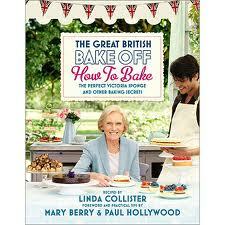 I have a feeling I will be making many more recipes from this book in the not too distant future…. Put flour, salt and dried yeast into a mixing bowl, mix together and add a well in the centre. Pour the lukewarm water into the well. Mix the flour into the water to make a soft dough. If the dough feels a bit too stiff and dry add a bit more water. If it’s too sticky, add a little bit more flour. Using a food mixer and the dough hook attachment, mix for about 6 minutes. The dough should now be pliable, smooth and silky. Put a damp teatowel over the mixing bowl and leave to rise until doubled in size (two hours at normal room temperature). On a floured surface, punch down the dough with your knuckles to deflate it and knock our the air bubbles. Knead gently for one minute. Divide the dough into two equal portions and shape each one into a ball. Roll each ball around in your hands until small and neat. Put the dough on a floured baking sheet and cover with a damp tea towel. Allow to rest until doubled in size again which will take approximately an hour. Preheat the oven to 230 degrees. Heat a baking sheet in the oven and put a roasting tin at the bottom of the oven. Sprinkle each loaf with flour and slash with a knife. Transfer then onto the hot baking tray and out into the oven. Pour a cup of water into the roasting tin underneath to produce a burst of steam. Bake the loaves for 15 minutes. Reduce the oven temperature to 200 degrees and bake for a further 15-20 minutes or until golden brown and the loaves sound hollow when tapped underneath. 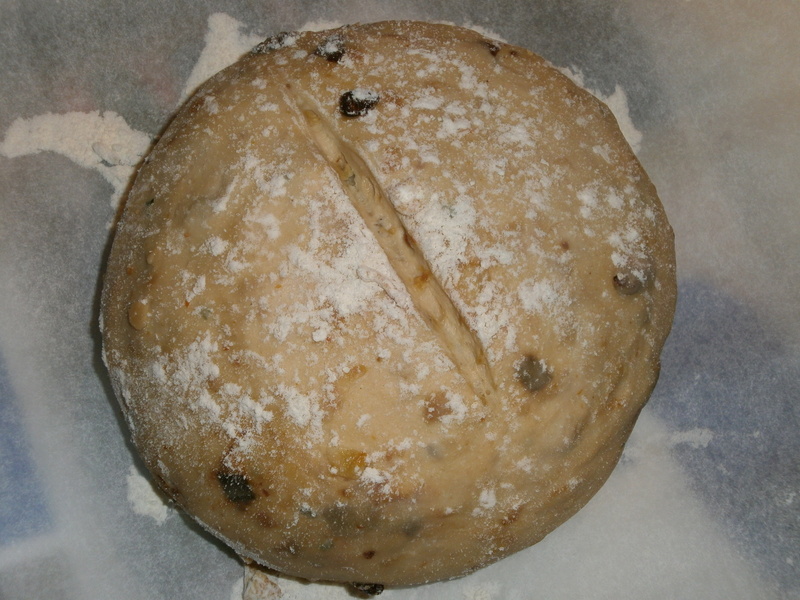 Above is the loaf taking shape before it went into the oven. 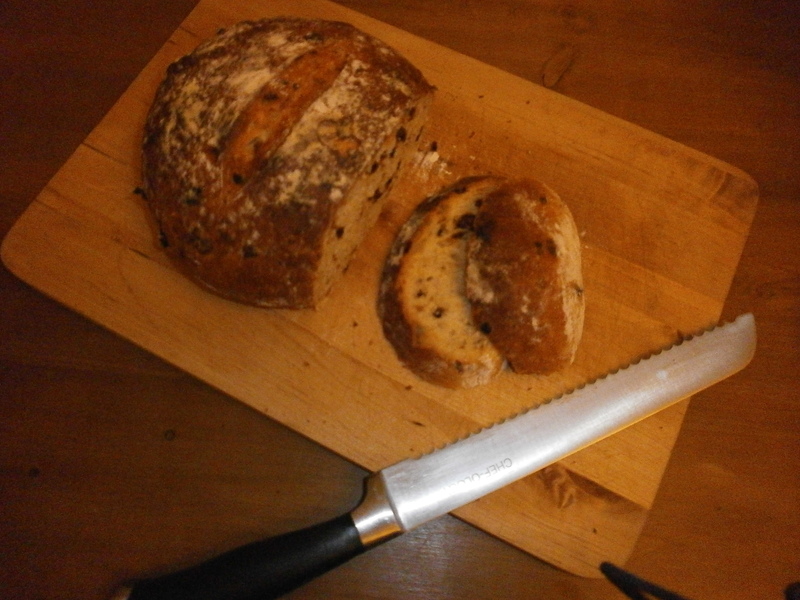 We halved the recipe so only had one loaf although I kind of wish we’d of made two! And out of the oven! I couldn’t believe how easy the bread was to make and how well it turned out. 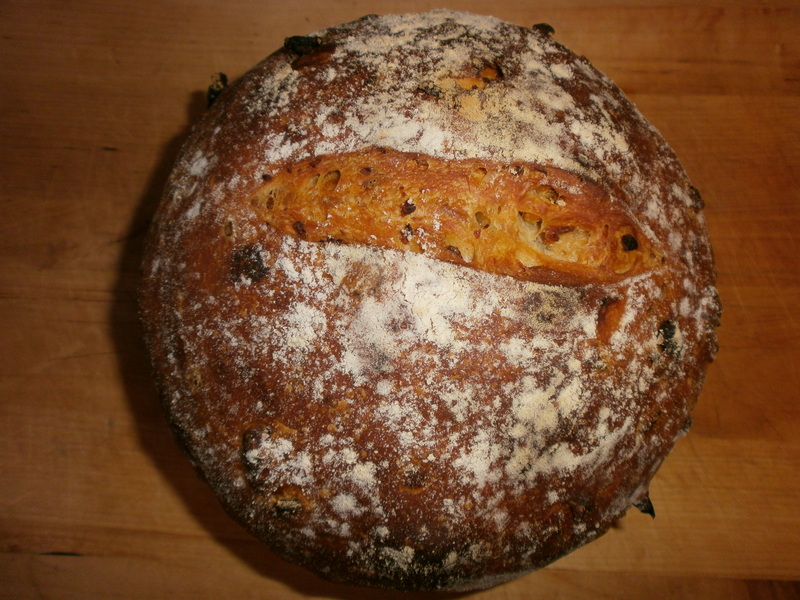 I would recommend the above recipe to anyone making bread for the first time – it certainly seems foolproof. The bread was delicious. So delicious in fact, that I didn’t get to eat much of it at all…it all seemed to mysteriously disappear….! 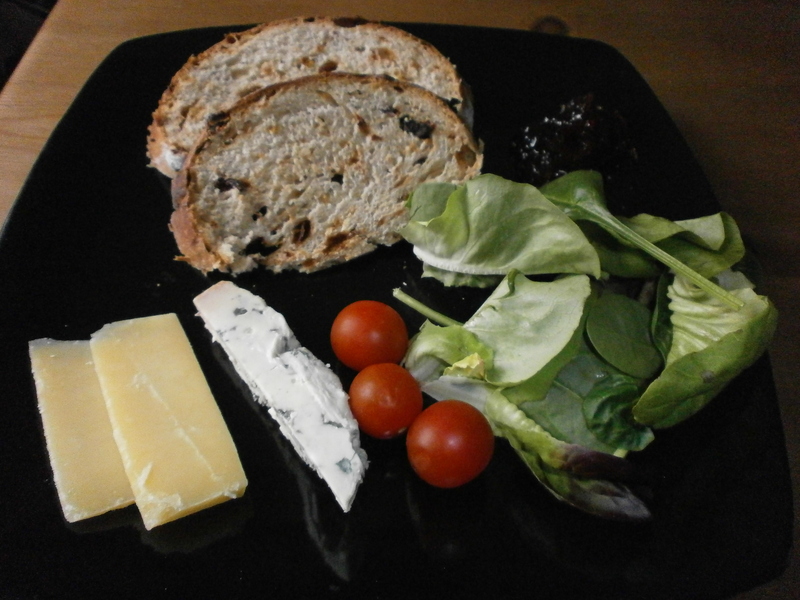 I did manage to have a few slices of the bread with some cheese, red onion chutney and salad for a light lunch the next day. It really added a bit of something extra to an otherwise rather plain Ploughman’s lunch. I think I could really get into this bread making malarkey although I think my boyfriend now wants freshly baked bread on a daily basis…I think that may be taking things a bit too far!! These truffles are extra special as they are made with Bailey’s Irish Cream. 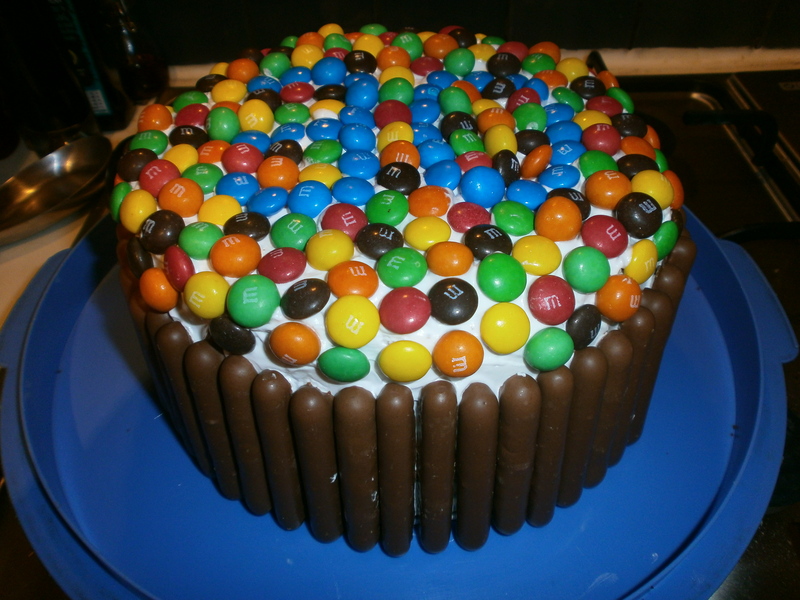 I love the stuff so when I came across this recipe on Holly Bell’s blog, ‘Recipes From a Normal Mum’, I had to try it! Holly was a finalist in the fantastic series ‘The Great British Bake Off’ which much to Mr MAC’s frustration, I demanded we tune into every week. I had a browse through the cookbook from the series in Waterstone’s yesterday and think it will be my next cookbook purchase – it includes all the recipes and tips for the technical bakes and is full of beautiful photographs (something my blog is distinctly lacking in at present!). A wonderful book which really captures how great and informative the series was. 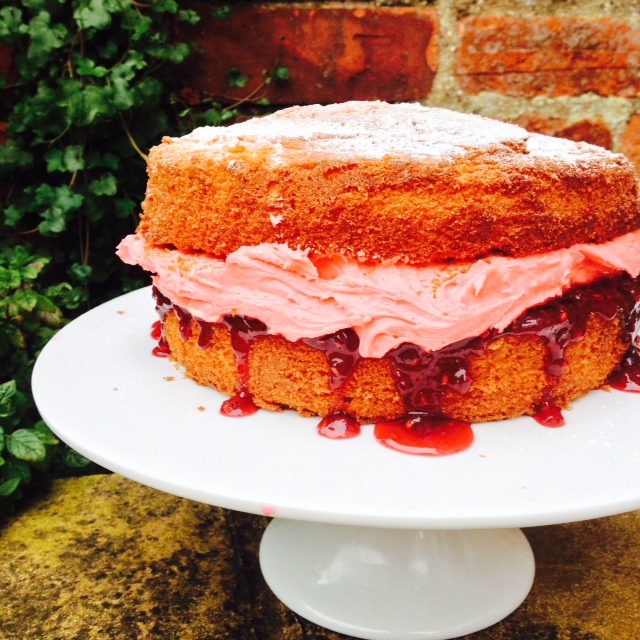 I found out about Holly’s blog from one of the ladies on my recent cookery course at Bridge 67 where Holly herself runs cookery courses on cupcake making, cake decoration and bread baking; I’m very tempted to book onto one soon. The recipe was very easy and didn’t have any particularly expensive ingredients. It really does make a massive amount of truffles too! The only thing I dislike about making truffles is how messy I end up getting – I manage to get chocolate everywhere – I forget about this every time and get frustrated every time! I am going to pop a bag of the truffles over to our next door neighbours later on this evening one of them is really into baking at the moment and he made delicious sausage rolls and scones last week which we were treated to so I’d like to return the favour. Mr MAC has eloquently described the finished products as looking a little like cat’s poo so they may think that I’ve just given them a bag of those their cats have left in our garden – I hope not!!!! Anyway, thanks to my other half’s description (isn’t he a charmer?!) there is no photo today but I am guessing you all know what chocolate truffles look like so no harm done! 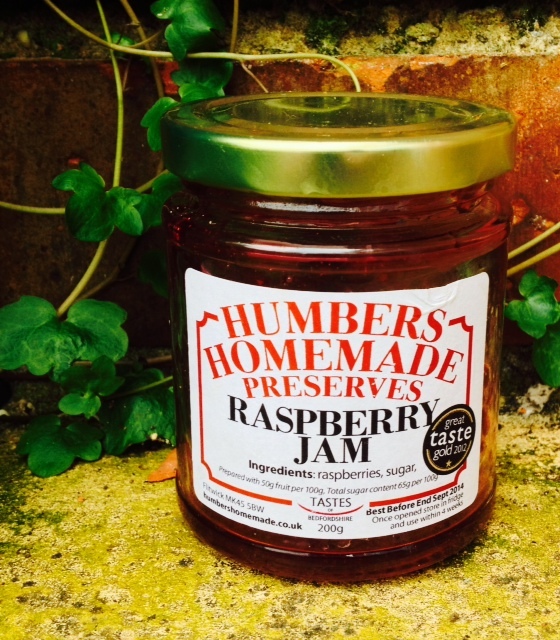 For a much better photo check out Holly’s blog……. Using 100ml of the Bailey’s, heat in a saucepan with the sultanas until all the liquid has been absorbed. Set aside and allow to cool. In another saucepan, heat the chocolate, golden syrup, butter and condensed milk until all the chocolate has melted and the mixture is silky and smooth. Be careful not to overheat (your chocolate will look grainy and the texture will be rough). In a bowl, mix together the bashed up biscuits, mini marshmallows, Bailey’s soaked sultanas and the chocolate mixture until everything is combined. Pour into a tray and pop in the fridge for several hours (ideally overnight) until everything has set. Put your nuts, icing sugar, cocoa powder etc into separate small bowls. Using a teaspoon, measure out the now set truffle mixture. Roll into a ball with your hands then roll in whichever topping you choose. Pop into a greaseproof paper lined tuppawear box and pop back in the fridge to firm up again. Although our kitchen was a bit of a state after my handiwork and although Mr MAC has described them in a rather derogatory way…these chocolates are utterly gorgeous and indulgent…a real must!